In Ten Pigs: An Epic Bath Adventure, Anderson created a funny up-and-down counting story. Ten Hungry Pigs brings more piggy counting fun! One pig sets out to make a perfect peanut butter and jelly sandwich for lunch. Ten more pigs soon come along, adding all kinds of food -- from pancakes and peas to macaroni and cheese. But wait! There aren't eleven pigs -- are there? 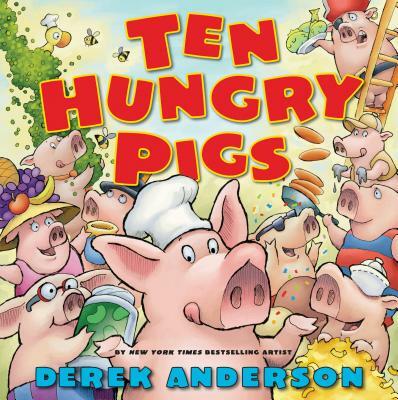 Ten Hungry Pigs is a fun counting book with a twist.